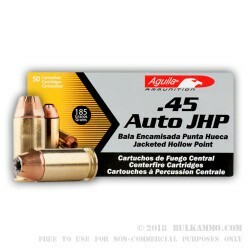 Aguila's 45 ACP jacketed hollow point ammo is a cheap solution if you're looking for ammo with an expanding projectile to use at the range. 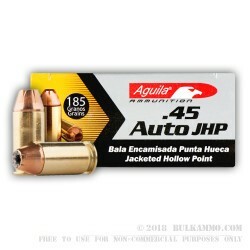 Aguila is based just south of our border in Mexico and is fairly well-known for budget-friendly ammo that's a solid choice for range training and plinking. 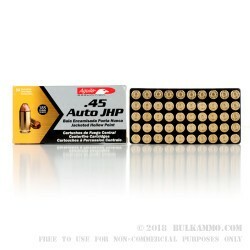 These rounds are loaded with a 185 grain hollow point bullet. 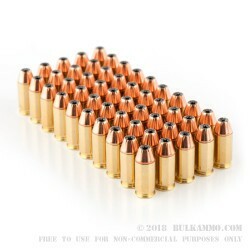 In terms of bullet weight, most 45 ACP shooters use either a 185 or 230 grain bullet, so this is pretty standard among lighter loads for the caliber. 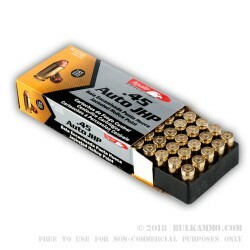 This bulk 45 ACP ammo comes packaged with 50 rounds in a box, 20 boxes within the case of 1,000 rounds. 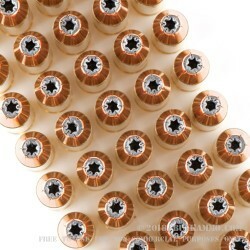 I shoot lots of .45 ACP ammo. You name a brand and I’ve probably fired plenty of it. 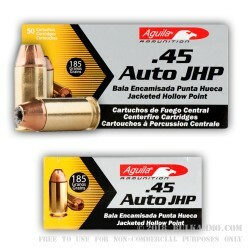 The Aguila - 185gr JHP works well in all the .45 ACP pistols and carbines I own - as does the 230gr Aguila. 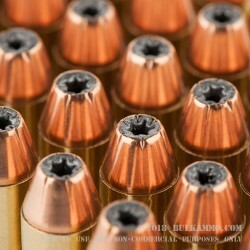 It shoots as clean as most American brands – cleaner than any of the Russian import ammo. The Aguila is consistent, clean and dependable. Why pay more for fewer rounds? 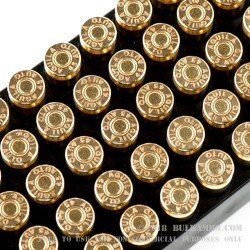 That said, I just purchased another 1000 rounds. Q: One question, does the box say anywhere "non-corrosive"?? 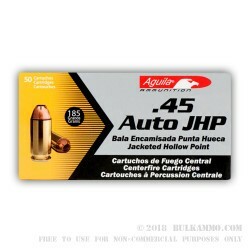 A: While there may not be any markings of "non-corrosive" on the side of the box, we have tested and found this 45 ACP ammunition to be non corrosive. 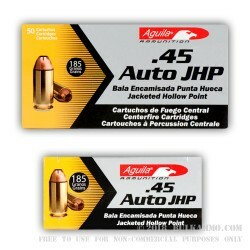 Aguila also claims they load their ammunition without corrosive components and these claims have held true over time. 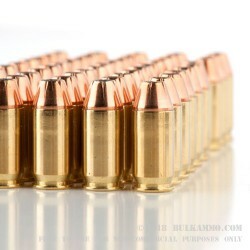 The cases are boxer primed and may be saved for reloading.